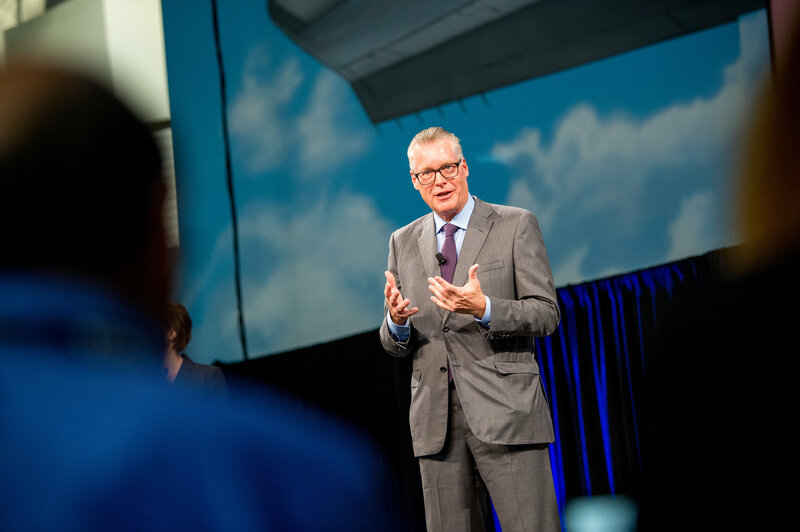 ​Delta is reshaping the travel experience, with innovative investments in aircraft, airports and technology, building on its world-renowned reliability and customer service, CEO Ed Bastian said Wednesday. Bastian spoke before a group of more than 70 journalists representing news organizations worldwide at a three-day media event at Delta's global headquarters in Atlanta. "This is a very exciting time for us at Delta," Bastian said, noting how the airline has been expanding globally and building on its leading position in reliability and customer service. 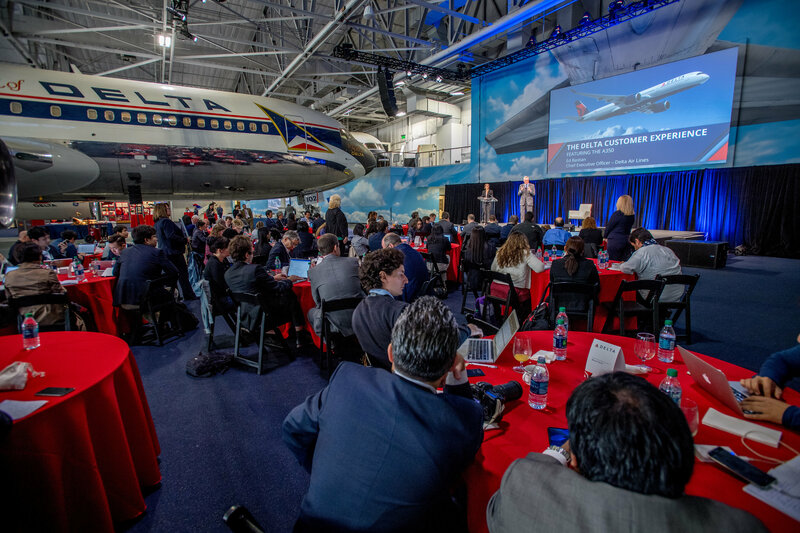 During the event, media attendees experienced Delta's new Airbus A350 aircraft, the first to be launched in North America. 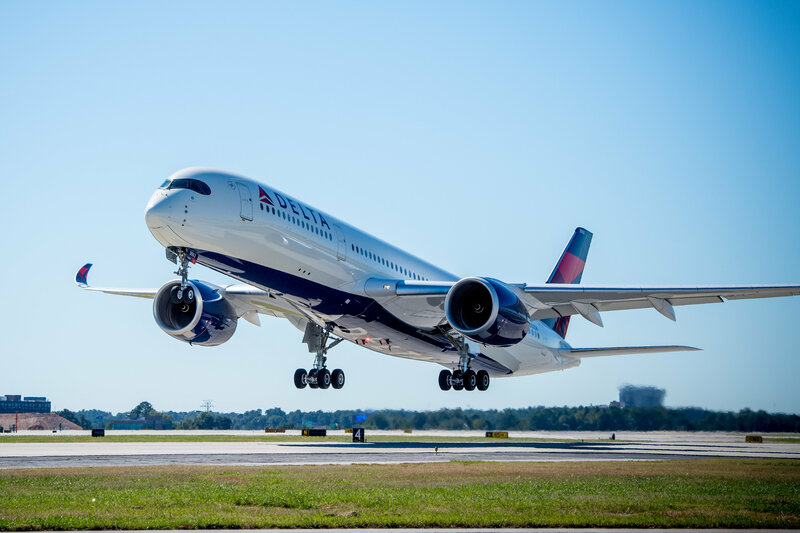 Delta demonstrated the A350's state-of-the art technology and world-class amenities during a test flight from Hartsfield-Jackson Atlanta International Airport. Bastian announced that the A350, the airline's new international flagship, will be deployed on flights to Amsterdam from Detroit in March 2018, the first trans-Atlantic route that will be served by the aircraft. Delta had previously announced A350 service to Seoul, Tokyo and Beijing. Delta is investing $12 billion in airport infrastructure over the next five years, in partnership with airport authorities and local municipalities. "Delta is investing more in airport infrastructure today than at any time in our history, and we're doing it without waiting around for the government," Bastian said. "I'd challenge you to find another airline that comes close to the investments we are making on the ground." He cited major airport upgrades and expansions underway at key airports including New York-LaGuardia, Los Angeles, Seattle, Salt Lake City and Atlanta. "LaGuardia alone is the biggest investment project in our history," he said of Delta's plan, in partnership with the Port Authority of New York and New Jersey, to replace existing terminals with a $4 billion state-of-the-art facility. The power of technology to improve the travel experience is front and center in Delta's efforts, Bastian said. Those enhancements range from Delta's use of biometric technology to speed security screening, free in-flight mobile messaging, video chat with customers to help solve problems at the airport, and an app developed to help pilots detect and avoid turbulence, making for a smoother, safer flight. Delta also announced an upgrade of its popular Fly Delta app, with automatic check-in 24 hours before a flight. Consumers today expect that leading brands will full leverage all of their technological resources to make the experience seamless and transparent, Bastian said, and airlines are no different. ​In addition to showing off the A350, Bastian noted that Delta is in the midst of a broad renewal of its fleet, deploying state-of-the-art aircraft that improve the experience from the nose to the tail. He noted that the airline continues to build on the customer experience in all classes of service, with free mobile messaging, free meals in the Main Cabin on select coast-to-coast flights, and upgraded food, beverages and branded snacks. New jets joining Delta's fleet include the C Series, a narrowbody aircraft that brings state-of-the-art amenities and technology to domestic routes starting next year, as well as continued deliveries of new Boeing 737-900 and Airbus A321 jets. Other improvements include the deployment of 2Ku high-speed WiFi on all dual-class jets, free in-flight entertainment and upgrades that include expanded overhead bin space, enhanced lighting and the Delta Comfort+ product. Delta's strongest advantage has always been its people, Bastian said, and the company has invested heavily in them as well. No investment in technology or infrastructure is enough without the dedicated, passionate work of Delta's people, he said. The company has increased compensation more than 80 percent since its merger with Northwest Airlines, and paid out more than $5 billion in profit sharing to Delta people.